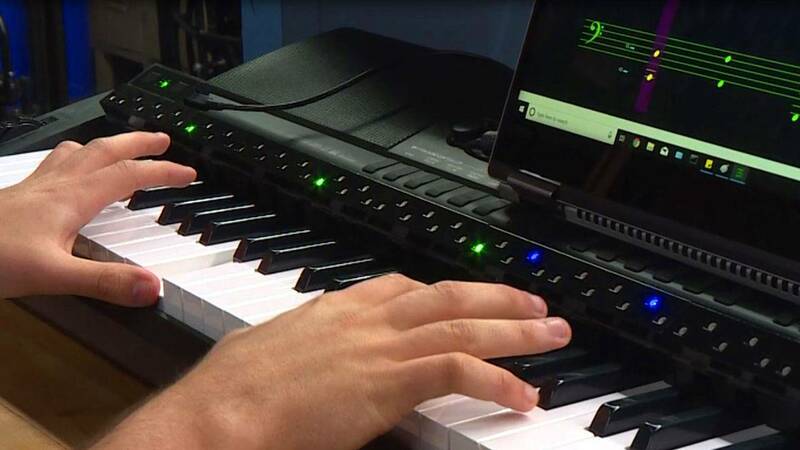 SciTech Now visits a group of St. Mary’s University students who invented a 3D add-on piano bar, so you can play songs on the piano by following flashing lights. The attachment converts any piano into an instrument that can be played by looking at various colored lights, which indicate the chords. The actual sheet music is also digitally displayed. This product makes it easy for anyone to play the piano, without even a music teacher coaching them at the side. Watch this episode of SciTech Now airing on Thursday, April. 11, 2019 at 7:30 on KLRN.